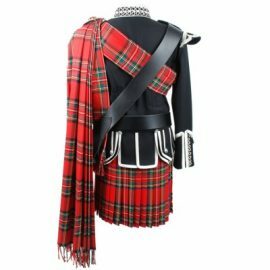 The Drummers Belted Plaid accessorizes a formal or military jacket. 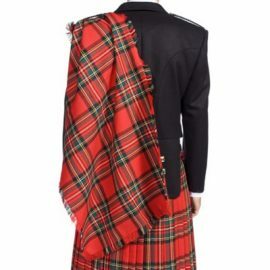 Takes a Highland outfit to the next level of formality. 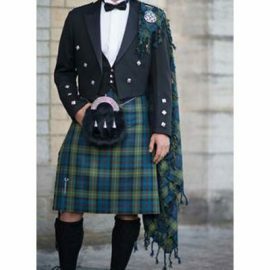 The Fly Plaid with Purled edges is worn to elevate the formality of your Highland ensemble. 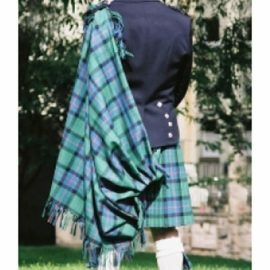 The Pipers Plaid is the finishing touch to the regal Military outfit.